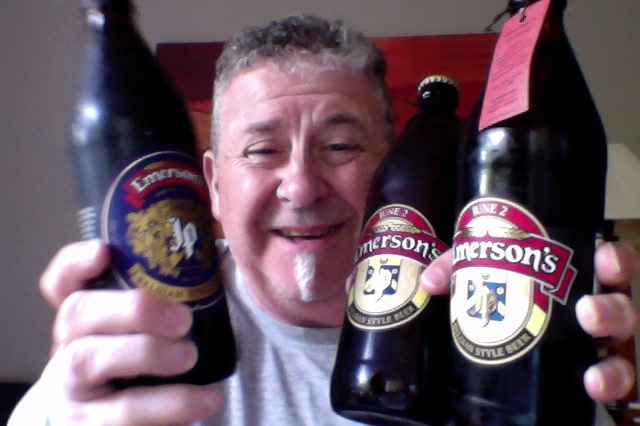 I’ve bitten off a big chew here, but you can only eat the Elephant one mouthful at a time, and so encouraged by the lovely staff at the local Liquorland I’m going to do a side by side step ladder stairway of the Emerson’s JP – which is an annual beer, one that seems to be an annual escalation too. All I have to do is work up courage, and convince MrsPhil. 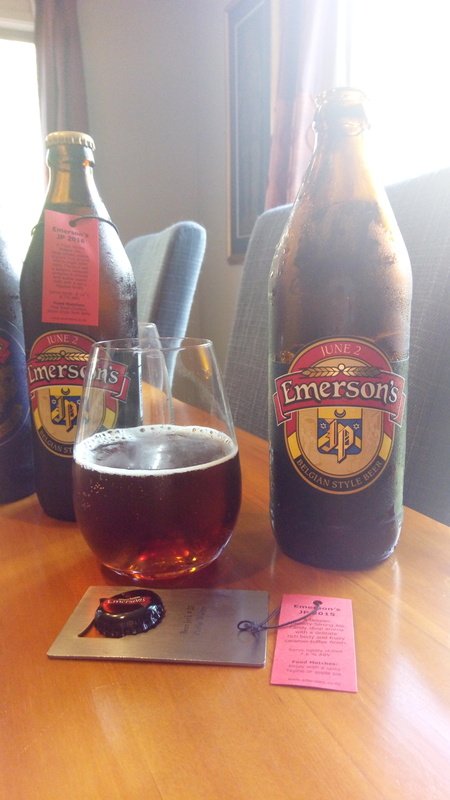 These are Brewed by Emerson’s Brewing Company (Lion Breweries – NZ) and they are in the styles that are Belgian Strong Ale, Abbey Tripel and Abt/Quadrupel Emerson’s can be found in Dunedin. JP is named in memory of Professor Jean Pierre Dufour, legend. 2015 – A Belgian Specialty Strong Ale. Candy shop aroma with a delicate rich body and fruity caramel-toffee finish. Serve lightly chilled. Food matches: Enjoy with a spicy Tangine or apple pie. 2017 – A beer to celebrate JP Dufour – this is the 10th Anniversary. A Belgian Quad made with Candi Sugar, Cherries and Brett yeast – this is one not to forget! So, What could possibly go wrong? 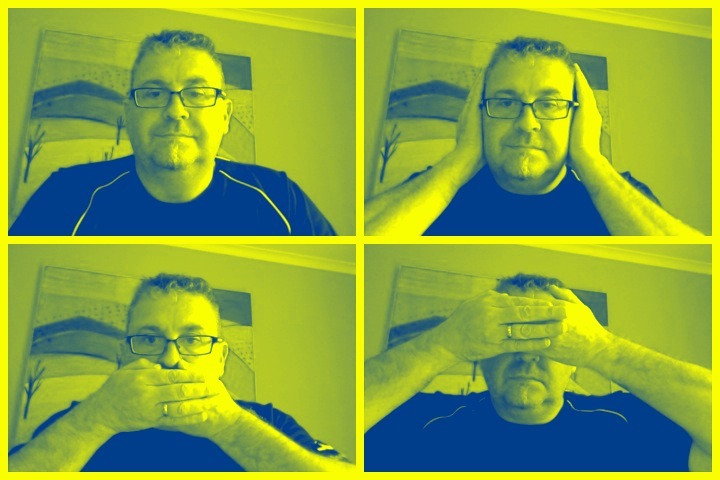 Well a number of things as it happens. The 2015: Deep rich aroma on opening, plenty of the candy sugar thing. 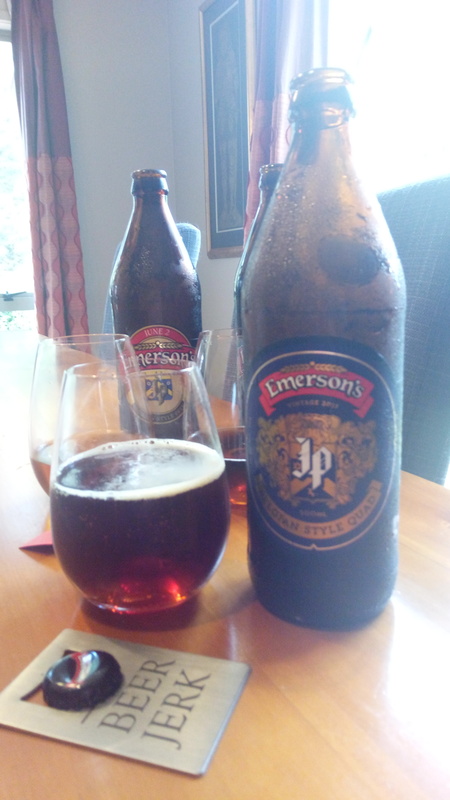 Boozy aroma in the glass, a clear darker brown pour without head. This has the hints of a stronger fuller beer but there’s a thinness in that that I didn’t expect. It is quite nice with a hint of mustiness/dryness in the finish that I enjoyed. To be fair this did get nicer as it warmed up and that malt had time to get into it, and this added a nicer fuller feel about the drinking. This looks really nice in the glass too. The pdubyah-o-meter rates this a 8 from 10 of the things. I changed that up from the original lower score, although this still isn’t as full in the mouthfeel as it could be and has a short profile of taste that could do with filling out. The 2016: This has a citrus aroma on opening, that wasn’t what I expected at all, lots of lemon. Pour is very light golden without a head. There’s not much by way of aroma that I can discern with this. This was without aroma and the pour a light golden without a head. The taste in this is very muted and almost absent, I was expecting a much dryer, or at least a towards dry finish and didn’t get that. The pdubyah-o-meter rates this a 6 from 10 of the things, it’s not that good, and it didn’t get better as it warmed, that sugary candy thing became annoying and out of place and didn’t seem comfortable in this, and it was a lone taste in an otherwise unremarkable beer. The 2017: A bright aroma on opening this, a richness indicated. Dark red pour with a head that quickly faded. This has a richness in the aroma, and this translates in the taste with is fuller fruiter and deep with some carry to a hint of alcohol tang at the end. The pdubyah-o-meter rates this a 8,5 from 10 of the things, it has potential to be much better, I think it needed more middle. The bookends to this were the best, the 16 was a weakness when in comparison to the others. When it came to going back and choosing which one to try again it got hard. The 15 has a booziness about it but even as it warmed it still needed some body. 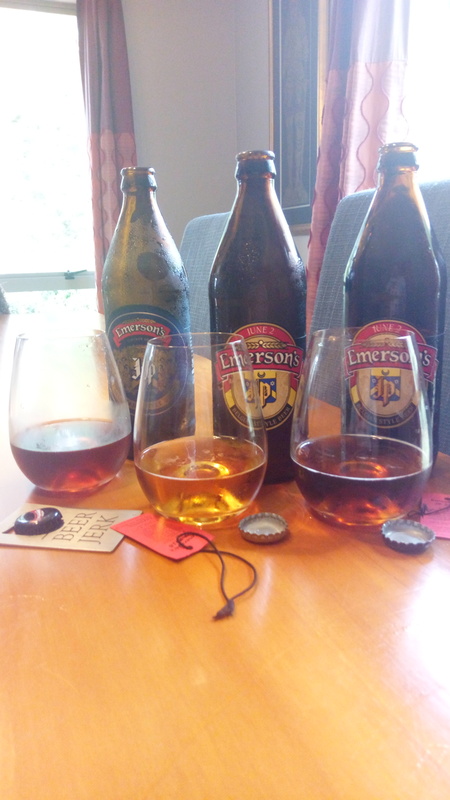 The 2016 has more candy yeast about it but it seems to be short of the mark in a couple of places, for me there was one flavour note, that candy, and it seemed out of place, the 17 is the pick of the three being more rounded but still not spectacular in any particular way, it s however the pick of the three on flavour and taste, it’s close though in appearance between the first and the last. These are nice ‘of style’ but they don’t advance it, or lead that way, they are homage to anda reflection on Jean Pierre Dufour and his contribution, I think he’d be chuffed with these. Where did I get it? 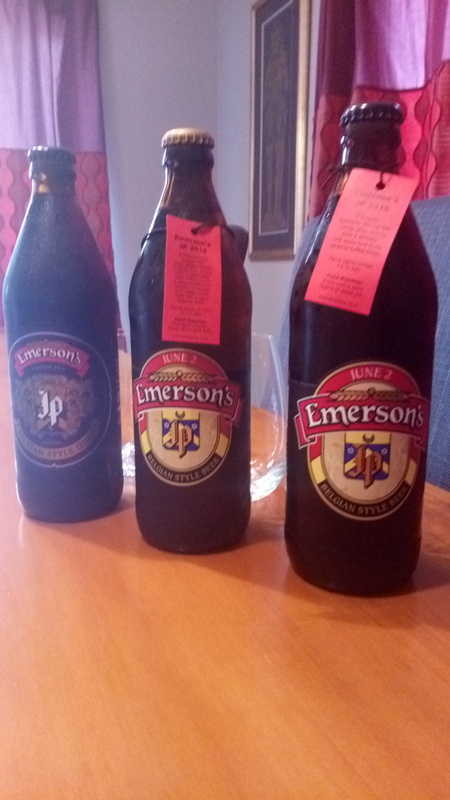 Liquorland had all three at once, I haven’t been keeping them. Would I have another? I don’t know that they’re individually worth while, they each have their thing, but it’s not an outstanding thing. Would I share with a friend on a porch and set the world to rights? The three in a taste out would have been an ideal thing, if you have the chance go for it, otherwise check out the 17 and the 15, they’re the bet two from me in my opinion. 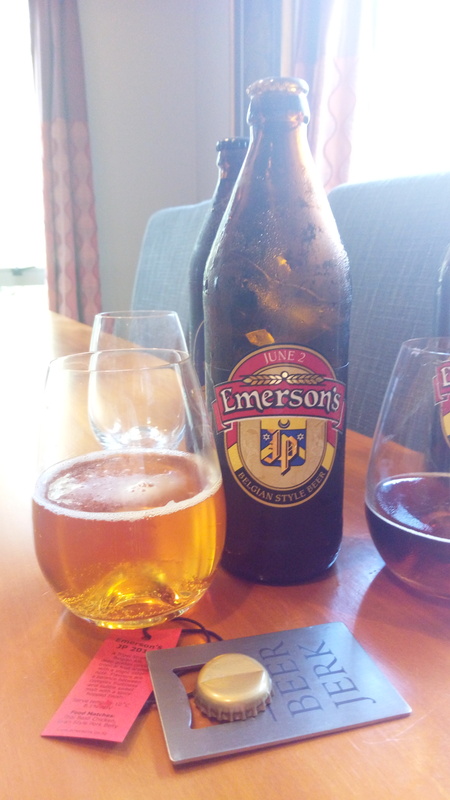 This entry was posted on December 26, 2017 by Philip Walter in Abbey Tripel, Abt/Quadrupel, Beer of New Zealand, Beer Review, Belgian Strong Ale, Brewed By, Craft Beer, Critic, Emerson's and tagged Annual Release Beer, Belgian beer styles, craft beer, Emerson's JP, Emerson’s Brewery.